In 1865, in Morant Bay, Jamaica there occurred a number of disorders which left 18 dead. The reprisals then carried out by the Governor of the island, Edward Eyre, resulted in 439 blacks being hung and a further 600 flogged with 100 houses destroyed. The harshness and scale of the punishments meted out resulted in a Royal Commission being set up to investigate what had happened and a national debate on the whole question about how native peoples should be treated. The trial of Governor Eyre and the national debate surrounding his trial seemed to indicate a hardening of racial attitudes and the divisions in society about the possibility of native development. Coming so soon after the publication of Darwin's 'The Origin of Species' and the Indian Rebellion, fears about colonial rebellions resulted in a questioning of traditional assumptions about the likelihood and rate of development of native peoples. Economic and social conditions in Jamaica had been worsening ever since the abolition of slavery passed by the British government in 1833. The Jamaican economy, largely dependent on sugar suffered as ex- slaves did not look for work in the sugar plantations as expected they would. There was consequently a shortage of labour and indentured labour had to be brought in from China and India. With a glut of sugar on the world market and strong competition from European sugar beet and from the sugar plantations in the French Caribbean colonies, Jamaican plantations began to close down. 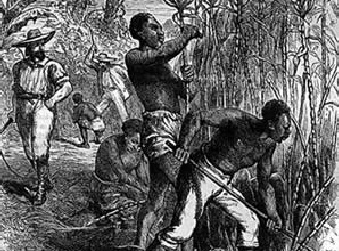 The black ex-slave was blamed by the Jamaican white planter class for Jamaica's economic ills and regarded by the whites as lazy and idle. 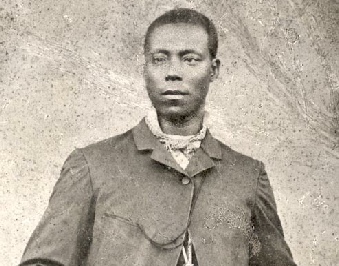 The colonial government consisting of Governor Eyre and a colonial assembly ruled in favour of the whites and the grievances mounted until trouble erupted when a group of about 400 malcontents led by Paul Bogle, approached the courthouse in Morant Bay to protest at the decisions taken by the court. In the clash with local volunteers, seven were killed on each side. Over 2,000 local people then disappeared into the interior of Jamaica and there followed a number of incidents which left 18 killed. Governor Eyre decided he had to act quickly. His experience previously in Australia made him suspicious of native peoples and the current problems with natives in New Zealand (Maoris) and Ireland (Fenians) only added to his determination to be strong. Eyre decided that a popular leader on the island, G Gordan, a Baptist minister and a magistrate, was responsible for inciting the trouble and needed to be brought to justice. Gordan gave himself up and was put on trial, and was court martialled. He had to be brought to Morant Bay from Kingston in order that he could be court martialled. he was found guilty and when the court would not give hang him, Eyre signed the document enabling him to be hung. Hundreds of blacks were rounded up and 439 were hung with 600 flogged. Men were given 100 lashes and women 30 lashes from whips that had pieces of wire attached. In addition 1000 homes belonging to blacks were destroyed. When the news reached London, Eyre was suspended from office and a Royal Commission established to look at what had happened. It found that Eyre had acted quickly and commended him for that but criticised him for the severe punishments meted out indiscriminately. The Cabinet and the Under Secretary for the Colonies criticised the trial of Gordan and the whole issue caused a national debate which divided society. The debate happened at a time when Darwin's book on the 'Origin of Species' was being debated and pseudo-scientific theories were being developed that questioned whether native peoples were suitable for development thus bringing into question the idea of Britain's 'Mission to Civilise'. To many Darwin seemed to suggest that racial variations had existed for millions of years and that the development of colonial peoples was not going to happen in a few decades. It was not a big step to suggest that Darwin justified military aggressiveness and the seizure of territory. Phrases like 'Survival of the Fittest' coined by Spencer, and 'Man's fighting instinct' further encouraged this view. 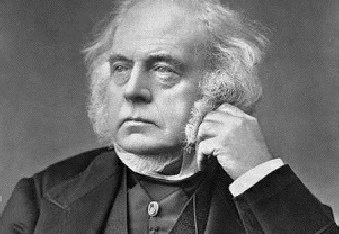 In Britain John Bright believed that the country had been stained by the Jamaica episode. Huxley it was a matter of political murder. W Foster believed that the excesses had happened because British officers 'were not free from racial feeling'. He thought that the British in the colonies had contempt for blacks and regarded them as inferior and were never challenged for their views. Opposing them were those who supported Eyre: men like Dickens, Kingsley, Tennyson and many of the Anglican clergy. 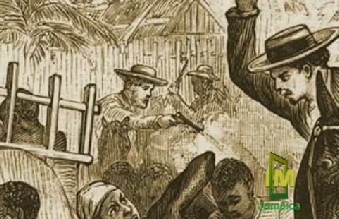 The Church Missionary Society actually gave up their work in Jamaica believing that the blacks there were incapable of development and education. Those who attacked Eyre may have done so from a feeling of guilt over the retributions carried out in India after the Rebellion there in 1857 whilst those who supported Eyre may have done so out of fear of what would happen if there were a large scale rebellion in colonies where whites were usually heavily outnumbered and with few military resources at their disposal. They also might have taken the view that what had happened in Haiti demonstrated that blacks were incapable of self government and needed harsh punishment to keep them in order. Fear of black insurrection had certainly produced a culture of harsh punishment in many colonies of the empire. Another problem that the Morant Bay rebellion highlighted was how the empire was to be run. Governors like Eyre found it difficult to stand firm against the constant lobbying of the white settler community that wanted to restrict political and economic rights to the local people who we usually the labour force for the whites. Jamaica also had a colonial assembly that consisted of white representatives. The Governors appointed by the Colonial Office were supposed to mediate between the interests of the white planter class and local people but it was too easy to give way to the demands of the planters. As a result of the weak government by Eyre, Jamaica 's colonial assembly was abolished and henceforth Jamaica and other small colonies were to be given a Governor appointed by the Colonial Office and responsible. With the telegraph arriving in most colonies by the 1860s, Governors of colonies lost their ability to act independently as they had previously done. 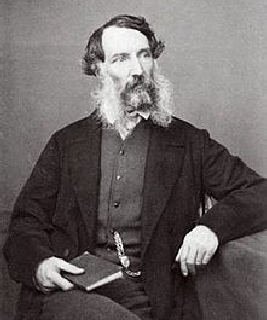 An appeal court eventually passed in favour of Edward Eyre showing that even when atrocities had been committed on behalf of the empire, those responsible were rarely held to account. Racist attitudes continued to harden amongst colonial societies despite the British continuing to claim that what marked the British Empire as being different was its moral dimension and the mission to civilise. The reality of the situation though was quite different.